Trinidad is a thriving island with a cosmopolitan population and strong regional influences. A mixture of business by day and party by night, the people of the island exude rhythm, passion and grace. 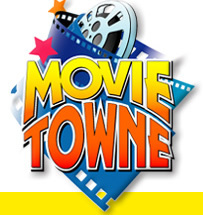 Movie Towne is the No. 1 Entertainment and Shopping Complex in the Caribbean. Featuring 10 State-of-the-Art Cinemas, Restaurants, Hollywood Cafe, Shopping Mall and Price Smart Discount Buyer Store. The Falls at West Mall. One of the most modern shopping malls in the Caribbean, the Falls at West Mall features an endless array of stores where you can obtain virtually anything you require. From shoes, clothing, electronics, computers, fine wines, toys, jewellery, books, local handicraft & souvenirs, sporting goods....the list is comprehensive. You may relax at the food court and enjoy a good meal. There is even a bank and a pharmacy for your convenience!